The area is close to Fituna (Södertälje). The area can be accessed by SL bus (Line 783, Fitunavägen). 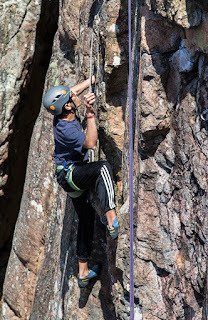 The routes were rated from 5+ to 6b and the rock walls are as high as 40 ft. The open side faces Himmerfjärden (a bay) and looks magnificent. A small shelter and fireplace in front of the rocks can be used while camping. Another nearby crag known as Grönbrinksberget has moderately difficult routes and are as high as 70-80 ft.